In this issue Terry Bartelme concludes his well researched series on Cryptocaryon irritans. What the series does is to provide the aquarist with solid, scientifically based information on this destructive pathogen. The series also sets forth what actually works against this parasite and what is ineffective, what the parasite’s life cycle is, and how such information can be useful to aquarists. Those reading this series with the hope that the author would reveal a magic bullet to be used against Cryptocaryon irritans are going to be disappointed. However, the situation is not hopeless – there are ways to fight back. This Euphyllia ancora has grown from a small fragment in the author’s reef tanks since its purchase in 1985. Terry’s series serves to empower the aquarist in the struggle with this universal parasitic pest. I found the series especially valuable as I have had battles with Cryptocaryon irritans since the late 1960s. Back in those days most of us had fish only tanks, decorated with dead coral, and I can’t think of a marine aquarist that didn’t lose fish to this parasite. Many of us, along with public aquariums, had to keep a level of copper in our aquaria in order to control the ever present parasite. Regular dosing with copper and formalin was a constant. As most of know, long term use of copper is as bad for the host as chemotherapy is for cancer victims, but we had no choice. In 1984 I set up my first reef tank and quickly made the discovery that the instance of Cryptocaryon irritans infection was greatly reduced, but when it occurred it was nolonger possible to use copper; in fact, virtually any chemical that would kill this parasite would also kill many, if not all, of ones invertebrates – soft and hard corals included. 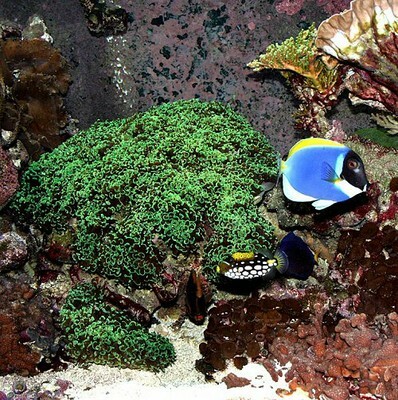 I suspect that the environment of a successful reef tank helps to minimize the risk of parasitic infection for several essential reasons: It is far less stressful, water quality is usually much better, and the newly hatched parasites are eaten by some of the tank’s invertebrates before they can find a host. However, from reading the online bulletin boards, it is clear that this parasite is still causing trouble. So, what is the aquarist who has this problem to do? First, read Terry Bartelme’s 5 part series. In this series, relevant issues like stress management, accurate techniques for lowering salinity, and information about so-called cures that don’t work are clearly elucidated. Knowing what works and what doesn’t is critical information. Finally, take this from a veteran of these parasite wars, pay more for net caught or aquacultured fish, and do what all public aquariums do – quarantine your new purchases for at least 4 weeks.